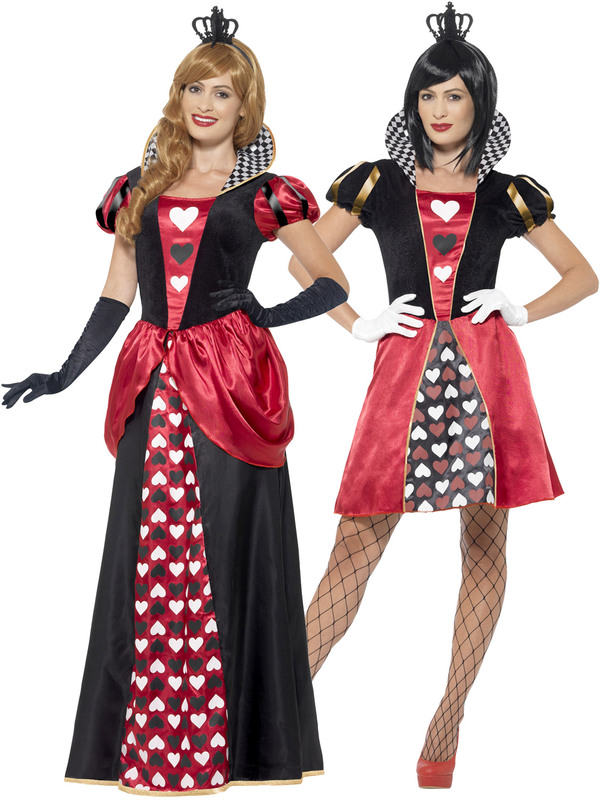 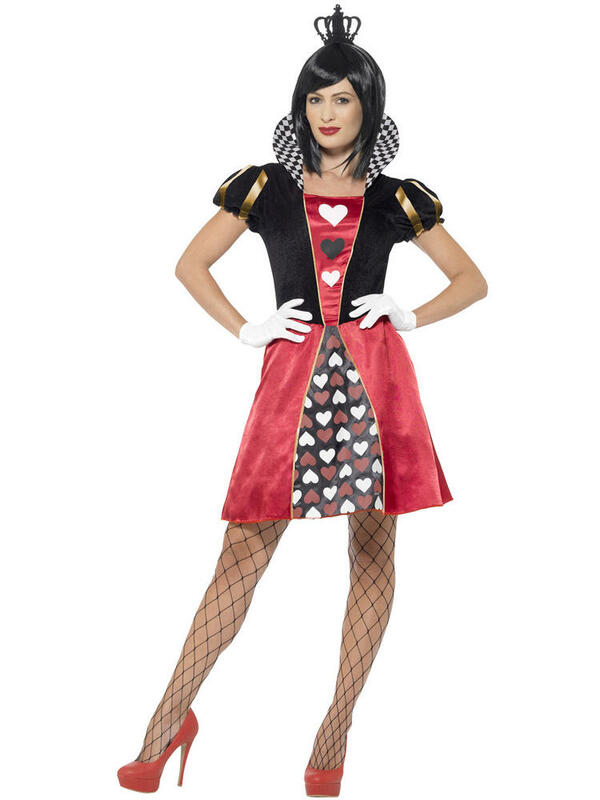 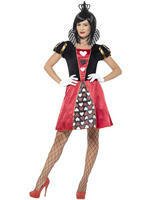 Transform yourself into the Queen of Hearts from the well-known book and film Alice in Wonderland! 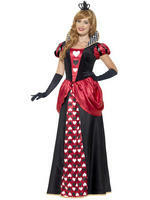 Long Carded Queen: Includes a red and black dress with black and gold puff ball sleeves, a large chequered collar and heart details down the front. 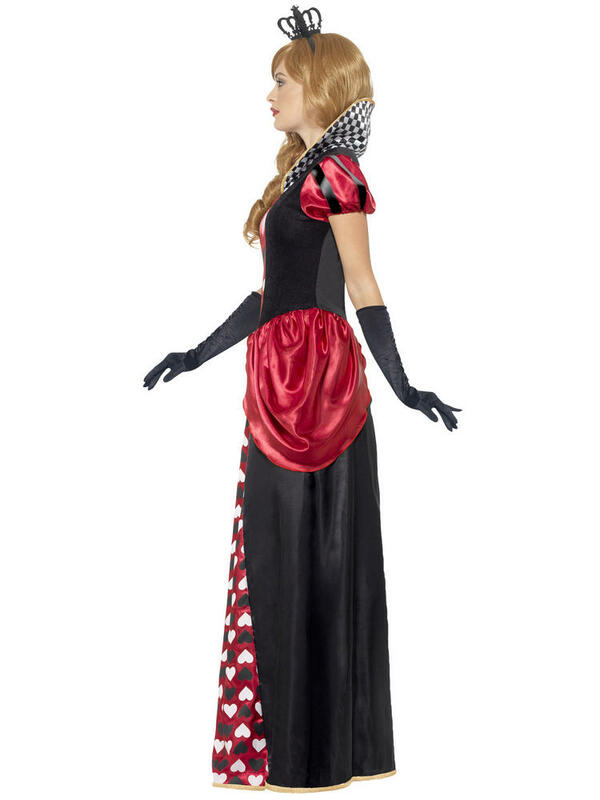 To complete the outfit is a black crown on a headband. 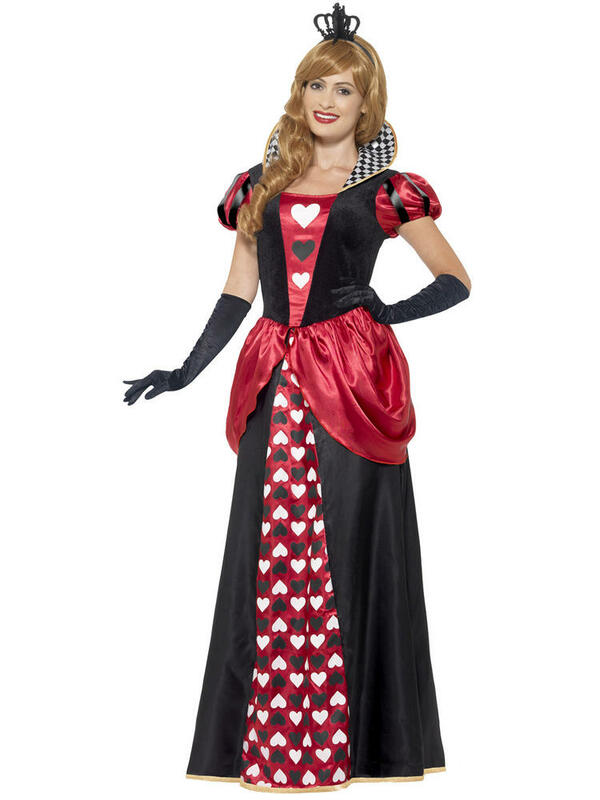 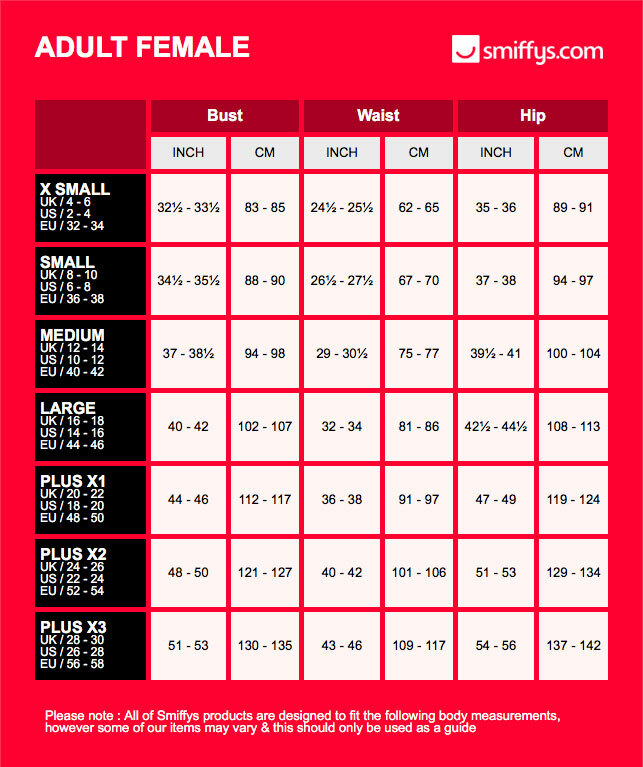 Short Carded Queen: Includes an A-line style dress with a black velvet top with puff ball sleeves, a red satin style skirt with heart detailing and an attached black and white chequered padded collar. 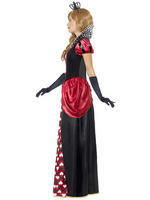 This dress fastens up at the back with a zip. 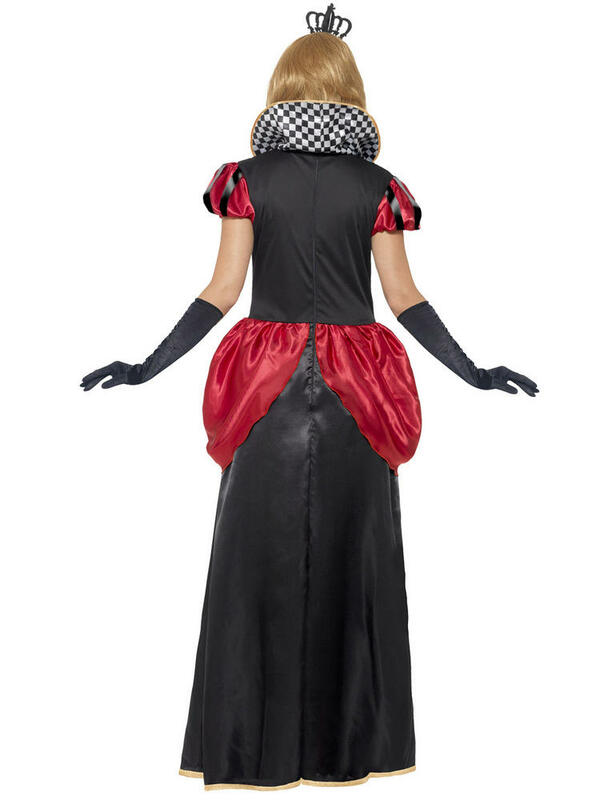 To complete the outfit is a pair of white gloves and a black Alice band with an attached felt crown.